Jesus, Do You Like Me? Please Mark Yes or No. 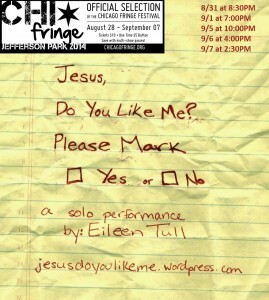 is a one woman show written and performed by theatre creator Eileen Tull. 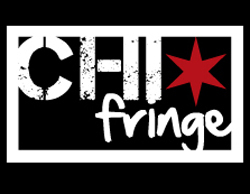 Jesus will have its Chicago premiere at the Fringe startingAugust 31st. Jesus chronicles an hour in the life of a mess: a frazzled but well-intentioned young woman who tries to find purpose and validation by organizing the Second Coming of Christ after receiving a divine message from an unlikely source. This explosive one woman show tangos with (un)wavering faith, love by vending machine light, the path to self-discovery, and a mystical blessed vegetable. Answers to all existential crises guaranteed. 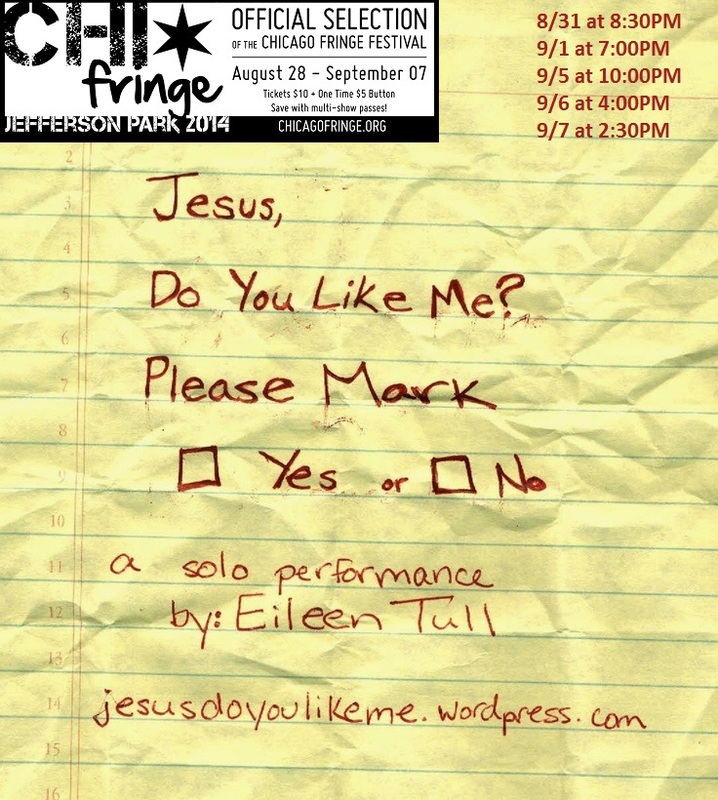 This solo play, developed, written, and performed by Eileen Tull, was created for the San Francisco Fringe Festival in 2012. Tull went on to perform the piece in the. remounted the show in Cincinnati, OH, and took it to New York City after being selected for the United Solo Festival in 2013. Eileen Tull is a Chicago-based performer of original one woman shows, stand-up comedy, performance art, and spoken word poetry. Her work has been seen in New York City, San Francisco, Berkeley, Boca Raton, Tampa, Philadelphia, Columbus, Dayton, Indianapolis, and Cincinnati. In Chicago, she has worked with Theatre Seven of Chicago, 20% Theatre Chicago, Prologue Theatre, the Abbie Hoffman Festival, Three Cat Productions, Odradek Theatre, and Chicago Dramatists. She is a graduate of Loyola University of Chicago.